It's that time again. Yup, it seems to be the trend that every three years, dc Talk decides to release another major project, preceded by a side project (like a long-form video or live album). They're known for their energetic shows, elaborate well-produced songs, and catchy radio-friendly tunes. Will we be disappointed with this new effort? Not at all. dc T never ceases to suprise & amaze us. On Supernatural, the trio decides to be more experimental & creative than ever. 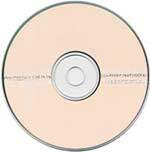 The disc starts off with "It's Killing Me," a hard-rocker that starts off slow & builds up. "My Friend So Long" is one the major differences on the album. It starts off as almost punk and breaks into a chorus that sounds vintage oldies. It sounds almost like they wrote the song with their live back-up, who we all know of as Zilch. "Since I Met You" is probably the most bizarre song on the project. It starts off coming across as another typical ballad and turns into a punk/rock-ish song, before taking a turn to pop/rock. The the title cut stands out as one of the harder sounding tunes which starts out with an almost haunting guitar riff & then breaks into a layered-vocal rockin' chorus. The song takes you on a musical roller coaster ride unlike any other! But the track that really stands out is the catchy, bold "Into Jesus." This is an album that shows another big step taken by the dc T guys that deserves a listen from dc T and non-dc T fans. Some will love it, some won't. But it is indeed a worthy follow-up to the classic trend-setting Jesus Freak.